At Nature Play we love to provide you with articles that we know you will enjoy or find interesting. Whether it be news from a Steiner Waldorf School, Getting children outdoors in nature to play or some hints on education and parenting or just general news with some fun elements too. We hope you enjoy these little snippets which we will add to as time goes by and if you have anything you think would be valuable to pass on, please email us so we can post it here. As the year turns from summer, albeit slowly this year, and the harvests take their course, we become aware of our continuing relationship with the bounty of the natural world. 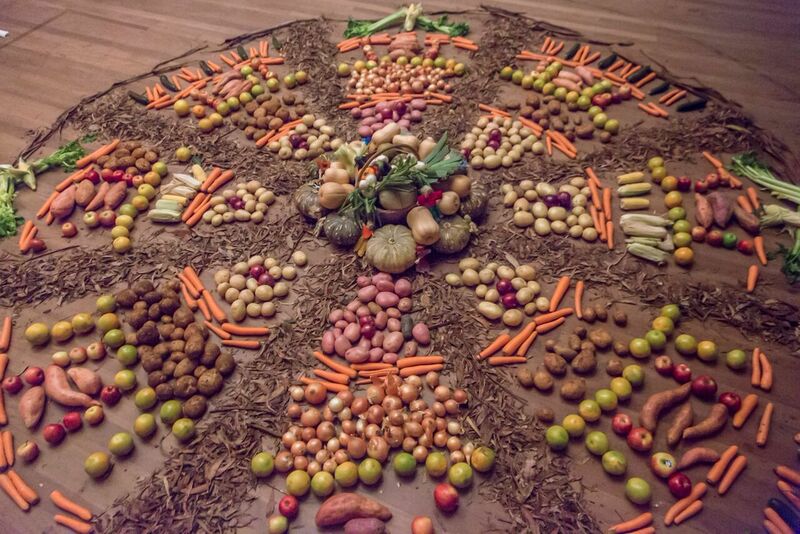 Our food is sown, grown and harvested from the earth. At the basis of the harvest lies life itself, in all its mystery. We celebrated our Harvest Festivals at Castlecrag and Middle Cove this week and here is an image from the festival. OzHarvest came to collect the food from our Middle Cove festival to distribute to people in need. Thanks to everyone for donating so generously.